From a single drop to 5 mL of tincture and 1 tsp to 5 grams, the range of how much of a medicinal plant to give varies greatly from practitioner to practitioner. How much of a plant to administer to someone also greatly depends on their constitution, what herbs you plan on giving, whether the condition is acute or chronic, superficial or deep in the body, and a host of other factors. This all adds up to a sometimes confusing and overwhelming aspect of herbalism for many people walking the plant path. In general, we can look at dosing from two primary orientations, what in many situations are two relatively different schools of thought. The first is the “low dose school,” whereby a medicinal plant is used in tincture form in 1-5 drop doses. This form of dosage is not so much based on the premise of the chemical constituents in the plant directly affecting the body’s chemistry, but rather the vital force in the body responding to the vital force in the plant. Some might consider this a more homeopathic approach to using plants. The other side of the spectrum is the “high dose school,” which can range anywhere between 1-5 mL of tincture per dose (though opinions vary on where the line is between a high dose and a moderate dose). This approach is focused more on the biochemical influence of the plants as they operate directly on the body. Both sides of the dosage spectrum has reasons for not using the other. For example, many of the high dosers feel that there’s no way 1-5 drops of a plant can possibly have a physiological effect. Low dosers often feel that such high doses of plants is too forceful on the body. There are many factors to consider when giving someone an herbal medicine, and dosage is definitely critical. But unfortunately there is no one straight answer to the question. 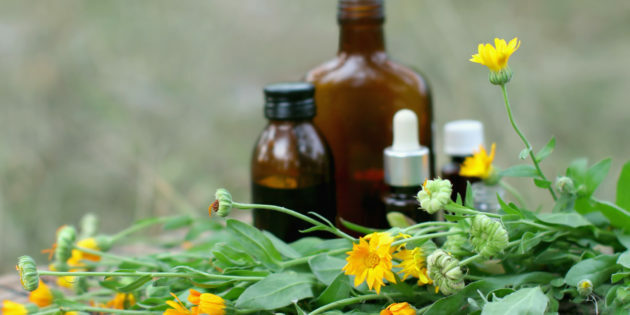 A general rule of thumb that many herbalists follow is that a good starting dosage that is moderate, or somewhere in the middle, is 30 drops three times a day. From there things can be adjusted as needed based on the person, condition, constitution, and specific remedies. One area where it is pretty straightforward is in regards to what are specifically referred to as “low dose plants.” These are those herbs that tread the fine line between medicine and “poison”- the main difference here being that of dose. Plants like Foxglove (Digitalis spp. ), Lilly of the Valley (Convallaria majalis), Poke (Phytolacca decandra), or Lobelia (Lobelia inflata) are those that require lower doses. Higher dosages of these plants can cause discomfort (such as nausea and vomiting with Lobelia), or can actually inflict harm or death (such as with Lilly of the Valley or Digitalis). These latter two plants are for the most part reserved for advanced practitioners that also have a license to practice medicine. One of the best ways to get this question of dosage clarified, is to simply experience it for yourself! That means actually taking the herbs you study so you don’t just have intellectual knowledge but experiential understanding. I like to encourage herbalists to take a whole month to study a single medicinal plant. You could take two weeks to take it in low, drop doses and note the effects. Then you could take 2 weeks and take it in a much higher dose, say 2-5 mL. That way you know the spectrum of a medicinal plant’s action, how it will influence the body and constitution– but not through just reading about it, from your own experience, where you know it by heart. If you haven’t already checked this out – we are also offering a FREE course right now called the Vitalist Herbalism Mini course! Click the green button below to get access to our 3 part video series and a downloadable workbook. Its only available for a short time, so I hope you’ll enjoy it while its here!